Referrals are a great way for you to grow your business using your existing customer base. 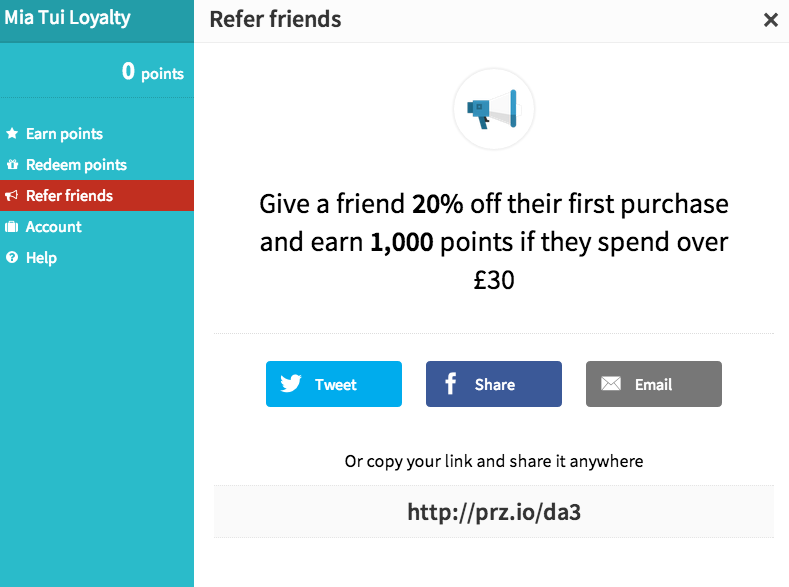 We've analysed 100s of referral programs - here's 5 tips that will help you get the most from LoyaltyLion. We know it can be worrying to hand out too many points. But trust us, we've seen it time and time again, giving more points bring more returns. The stronger the incentive for your customers to refer, the more customers you'll acquire. And don't forget those new customers may purchase more than once. 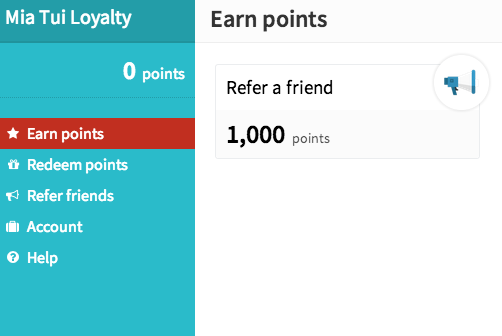 For example, if your average purchase size is $50 you'll want to give at least 1,000 points for a referral ($50 * 20% = $10 = 1,000 points, since a point is worth $0.01). If your average lifetime value is $200 you've gained $200 revenue for less than $10! 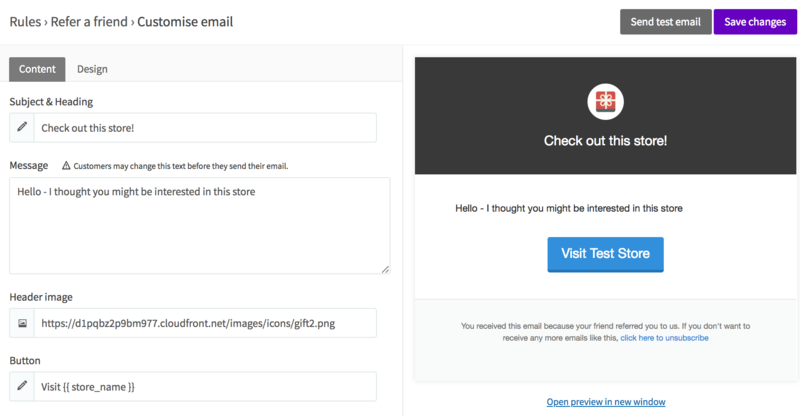 Write the referral message and email for your customers to share with their friends; save them time and increase the number of referrals! Now here's an impactful little feature. 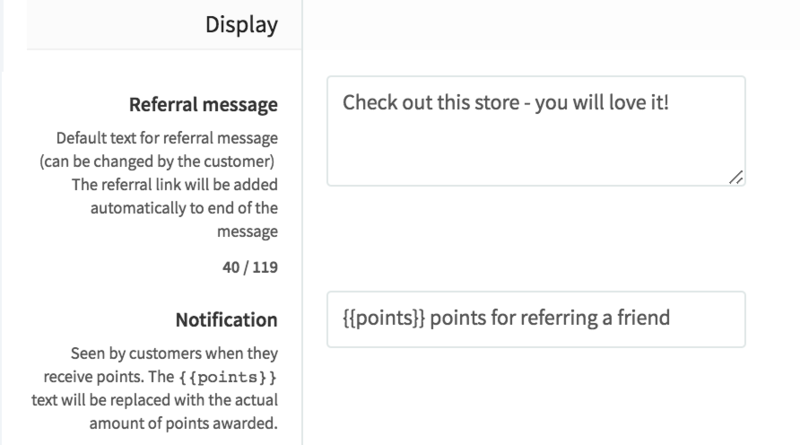 A simple contextual reminder that notifies the customer right after they make a purchase. See how to turn it on here. Some of our merchants, like Mi-Ola and Taylor Stitch have figured out a great way to promote their LoyaltyLion refer a friend feature. They simply added a big pop-up to their store front and information to their account page to make sure all his customers know. We think it's a great idea! 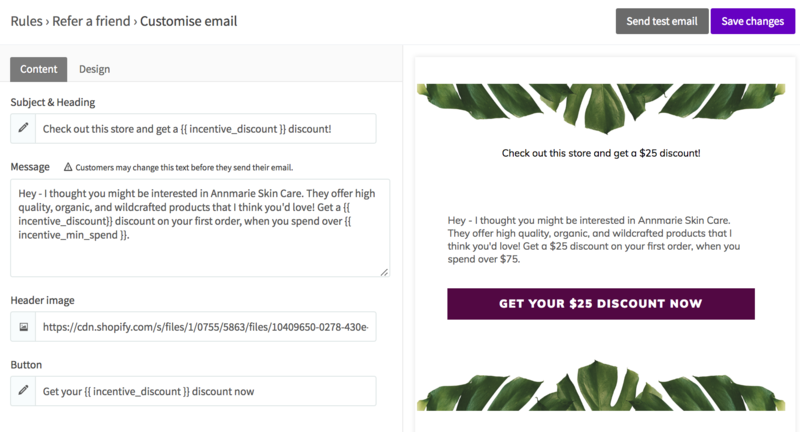 If you put yourself in the customer's position, what would you rather receive from a friend an email referring a store or an email referring the store with a discount just for you? Here are the instructions on how to set up refer a friend feature.